The Prolinnova Oversight Group (POG) serves as governance mechanism to ensure accountability of the Global Partnership Platform (GPP) to the Country Platforms (CPs), their constituencies and donors. The POG is made up of four people from the CPs, one from the International Support Team (IST) and four independent members. Since its inaugural meeting in 2005 in South Africa, it meets face-to-face at least once a year and otherwise communicates by email and Skype. It has drawn up several policies and guidelines for the GPP. The Terms of Reference for the POG were originally drawn up by Prolinnova partners at their first meeting in Yirgalem, Ethiopia in March 2004 and have been revised periodically by the POG on the basis of experience. Ann Waters-Bayer (waters-bayer@web.de), a Canadian-Dutch agricultural sociologist (Dr.agr. University of Hohenheim, Germany), worked for 25 years with ETC Foundation and is now a senior associate with KIT (Royal Tropical Institute, Amsterdam). She is a founding member of Prolinnova. Her focus is on facilitating and analysing participatory research and development in agriculture and natural resource management in ways that enhance local innovative capacities. She worked with the International Livestock Centre for Africa (ILCA) in livestock systems research in central Nigeria in the early 1980s and has advised numerous organisations engaged in pastoralist development in Africa and Asia. She led several reviews and evaluations, such as for the Swiss strategy for pastoralist development in the Horn of Africa, the International Institute for Environment and Development Drylands Programme 1987–2009, and the pastoralist development programme of Cordaid in Eastern Africa. She has engaged in action research in several programmes, such as JOLISAA (Joint Learning in Innovation Systems in African Agriculture) in partnership with Prolinnova. An avid networker, Ann likes to link people in communities of practice and to share information and lessons through presentations, panel discussions, books and articles on agricultural innovation, ecological agriculture, climate-change adaptation, pastoralist development and gender issues. She is vice-chair of the European Forum for Agricultural Research for Development (EFARD), member of the YPARD (Young Professionals in Agricultural Development) Advisory Group, Core Team member of CELEP (Coalition of European Lobbies for Eastern African Pastoralism) and Associate Editor of The Rangeland Journal. Chris Macoloo (cmacoloo@wn.org) holds a PhD in geographical/environmental sciences from Cambridge University, UK and is a Fellow of the Cambridge Commonwealth Society (FCCS). He has a Master’s degree in planning and development from the University of Nairobi and was a visiting graduate student at McGill University, Canada, in the 1982/83 academic year. Chris has had an extensive academic career spanning over 20 years at the University of Nairobi, Kenya, where he is an Associate Professor. Chris also has extensive experience in the development sector. He is currently the Regional Associate Vice President for Africa at World Neighbors, based in Nairobi, Kenya. World Neighbors is an international development organisation that strengthens capacities of local organisations in the fields of sustainable agriculture, livelihoods, natural resources management and health in Africa, Asia, and Latin America and the Caribbean. Chris is responsible for the strategic, human resources and financial management of World Neighbors’ programmes in five countries in Africa (Kenya, Uganda, Tanzania, Mali and Burkina Faso). He has also worked for other international development organisations such as Practical Action (formerly ITDG), and SNV/Netherlands Development Organization. As the head of World Neighbors in Africa, Chris played a critical role in the formation of the Prolinnova Country Platform in Kenya and is a member of the National Steering Committee of Prolinnova-Kenya. He played a leading role in planning and implementation of the Eastern Africa Farmers’ Innovation Fair which was held in Nairobi in May 2013. He is currently Co-Chair of the POG. Djibril Thiam is a land planning and management engineer from the National School of Applied Economics (ENEA) in Senegal and holds a Master’s degree in Environmental Science from the International University Léopold Sédar Senghor of Alexandria, Egypt. He is coordinator of the NGO Agrecol Afrique (Ecological Agriculture in Africa), specialising in promoting ecological/organic agriculture and Social Solidarity Economy. With over 10 years’ experience in promoting sustainable agriculture and participatory approaches in rural development, he coordinates the multi-stakeholder platform PROFEIS (Promoting Farmer Experimentation and Innovation in the Sahel) and institutionalisation of participatory approaches in agricultural research and development in Senegal. He also works on integrating participatory innovation development (PID) into institutions of higher education in agriculture and rural development. Djibril Thiam est ingénieur en aménagement du territoire et gestion de l’Ecole de Nationale d’Economie Appliquée (ENEA) du Sénégal. Il est titulaire d’un Master en sciences de l’environnement de l’Université Internationale Léopold Sédar Senghor d’Alexandrie en Egypte. Il est le coordonnateur de l’ONG Agrecol Afrique (Agriculture Ecologique en Afrique) spécialisée dans la promotion de l’agriculture Ecologique/biologique et de l’Economie Sociale et Solidaire. Djibril assure aussi la coordination de PROFEIS-Sénégal. Avec une expérience de plus de 10 ans dans le développement de l’agriculture durable et des approches participatives de développement rural, il est impliqué dans le renforcement de la plate-forme multi-parties prenantes PROFEIS et l'institutionnalisation des approches participatives dans la recherche et le développement agricole au Sénégal. Il travaille également sur l'intégration de PID dans les institutions d'enseignement supérieur d'agriculture et de développement rural. Elske van de Fliert (e.vandefliert@uq.edu.au) is Associate Professor at the University of Queensland (UQ), Australia, and Director of its Centre for Communication and Social Change. She has a PhD in Communication from Wageningen University. Before joining UQ in 2006, she was involved for almost 20 years in research, development and teaching in Indonesia, Vietnam, China, Sri Lanka, Philippines, Kyrgyzstan, Kenya and Uganda. Her research focuses on the theory and practice of participatory communication in development and social change, and on transdisciplinary research for development. She is currently involved in research projects in Timor Leste, Indonesia and Mongolia, funded by the Australian Centre for International Agricultural Research (ACIAR) and the Swiss Agency for Development and Cooperation (SDC). She is a member the Executive Boards of icipe (International Centre for Insect Physiology and Ecology) and IAMCR (International Association for Media and Communication Research) and is on the editorial advisory boards of the International Journal of Agricultural Sustainability and the Journal of Agricultural Education and Extension. Emily Monville Oro (emily.monville@iirr.org), Country Director of the Philippine Program of the International Institute of Rural Reconstruction (IIRR), has over two decades’ experience in public health, rural development, clinical nursing, disaster-risk reduction and capacity development. She gained her Masters in Public Health with a full scholarship from the James P. Grant School of Public Health at BRAC University in Bangladesh. Her work is focused in Asia, particularly in the Philippines, Bangladesh, Vietnam, Indonesia, China, Malaysia, Cambodia and Pakistan. Emily is a strong advocate and practitioner of the value of networking and partnerships as a way to leverage more benefits for the poor. She belongs to Partners for Resilience (PfR) in the Philippines and the Philippine Coalition of Advocates for Nutrition Security (PHILCAN). She has a special interest in community-managed disaster-risk reduction, school nutrition and ways to engage local governments in local-level platforms. She manages IIRR programmes in two sites in the Philippines dealing with climate-smart agriculture, agriculture-nutrition linkages and linking relief and development. Joram (Joe) Ouko (joe.ouko@gmail.com) is a Kenyan innovator who has been farming all his life, alongside his work as secondary school teacher and principal, from which he retired in 2000 after 30 years of service. Working with World Neighbors (WN), Kenya Agricultural & Livestock Research Organization (KALRO) and Prolinnova–Kenya (PK), Joe was a member of the Local Steering Committee for piloting Local Innovation Support Funds (LISFs) in western Kenya. He raised awareness about the LISF, assessed proposals from farmer innovators to the LISF and monitored the LISF-supported activities. In 2006, he was elected Chair of a district network of dairy-goat farmers, a position he still holds. He mobilises farmer innovators to show their work in regional agricultural fairs, where some group members won prizes, and helps organise farmer innovation fairs. In 2015, he represented Kenyan farmers at the Quakers United Nations Organization (QUNO) meeting in Switzerland on small-scale farmer innovation. In 2016, his dairy-goat feed innovation won a prize from the National Environment Trust Fund, and KALRO selected him to assess farmer innovations in western Kenya under the Program for Accompanying Research in Innovation (PARI). Joe and other innovators are in the process of registering the Farmer-Led Innovators Association of Kenya (FALIA–Kenya), of which he is interim Chair. Juergen Anthofer (juergen.anthofer@giz.de) is a German national with a doctorate in agricultural sciences from the University of Stuttgart-Hohenheim. He has experience in participatory technology development and participatory extension through, e.g. his work with Ghanaian farmers in the framework of a project of the German Agency for Technical Cooperation (GTZ, now GIZ) and with ICARDA (International Centre for Agricultural Research in Dryland Areas). He was Portfolio Manager with the Global Horticultural Initiative (GlobalHort) and Senior Agricultural Expert with the World Bank before joining the German Advisory Service for Agricultural Research for Development (BEAF) and was seconded to the European Commission in Brussels as Executive Secretary of EIARD (European Initiative for Agricultural Research for Development). This platform coordinates donor policy and support for agricultural research and development between the European Commission, Member States of the European Union, Switzerland and Norway. Since November 2016, he has returned to BEAF in Bonn. Lionel Vigil (lvigil@wn.org) holds a Master’s degree in Development Studies from the International Institute of Social Studies of Erasmus University Rotterdam in The Netherlands and degrees in education and health sciences from Peru. He has considerable experience in planning, implementing and evaluating rural development programmes using rights-based, gender and cross-cultural approaches to support marginalised communities in Peru and Bolivia and in corresponding advocacy activities. Since 2012 he is the Regional Director for Latin America and the Caribbean for World Neighbors and is based in Peru. Pratap Kumar Shrestha (pshrestha@usc-canada.org) from Nepal holds a Master’s degree in agricultural economics from the University of East Anglia, UK, and a PhD in local knowledge and participatory technology development from the Bangor University, UK. He has more than 25 years of experiences in participatory research and development in the field of agriculture, biodiversity and natural resource management. He worked initially as a socio-economist and later as Head of the Planning, Monitoring and Evaluation Unit at Lumle Agricultural Research Centre in Nepal (funded by DFID, UK) from 1990-1998. He is a founder member of Local Initiatives for Biodiversity, Research and Development (LI-BIRD), a Nepal-based NGO, and headed the organisation as its Executive Director from 2003-2009 before joining USC Canada Asia as Regional Representative and Scientific Advisor. He is currently the Program Specialist on Seed Systems and Plant Genetic Resources. He was instrumental in establishing the Prolinnova Nepal programme and served as Country Programme Coordinator for five years. Amanuel Assefa (kidus_aman@yahoo.com) from Ethiopia has a first degree in Animal Sciences from Haramaya University, Ethiopia, and is specialised in management of agricultural knowledge and innovation systems. He completed his PhD at the University of KwaZulu-Natal, South Africa, in agricultural innovation systems. His career developed primarily within the institutional culture of NGOs. He served AgriService Ethiopia (ASE) for 20 years with high commitment and, for more than 10 years, held different managerial positions. He is now in the private sector with Precise Consulting International. He has attended six international-level and 14 national-level training courses in the areas of rural development, food security, innovation, participatory approaches, planning, gender etc and has made several overseas visits, attended high-level international conferences, published professional papers in the area of extension and innovation, and done consultancy work for several NGOs. He spearheaded several networks in Ethiopia such as PROFIEET (Promoting Farmer Innovation and Experimentation in Ethiopia), PANE (Poverty Action Network Ethiopia) and CRDA (Christian Relief and Development Association). Amanuel has been with Prolinnova since its inception and is one of the driving forces behind Prolinnova-Ethiopia, of which he is a member of the Core Team. He represented the Prolinnova international network in the Steering Committee of the European doctoral programme AgTraIn (Agricultural Transformation through Innovation). Assétou Kanouté (kalilouka@yahoo.fr) from Mali holds a MS in Biology-Ecology /Range Management from South Dakota State University, USA. She has 16 years of practical experience in the field with grassroots women organisations. During that period, she has been involved with NGOs at national, regional and international level. In Mali, she is Executive Secretary of a national women's NGO called ADAF-Gallè. Her work in this NGO requires writing proposals for funding, fundraising, planning, coordinating and implementing. She has considerable experience in monitoring and evaluating projects and programmes using the participatory impact monitoring approach. She also supervises staff in the office as well as in the field. She was a member of the Steering Committee of IFDC's Project 1000+. In 2007, she became coordinator of PROFEIS (a sister program of Prolinnova) in Mali, where she has facilitated a great deal of farmer-led experimentation and set up a strong partnership with a farmer network, NGOs and the national agricultural research institution Institut d’Economie Rurale (IER). Brigid Letty (bletty@inr.org.za) from South Africa is an agricultural development specialist working with the Institute of Natural Resources (INR), based in Pietermaritzburg, South Africa. She is involved in a range of agricultural development work, but has a special interest in participatory approaches to agricultural research and development. Before joining INR in 2003, she worked for six years with the Provincial Department of Agriculture as an animal scientist in the Farming Systems Research Section. She is currently the overall coordinator of Prolinnova–South Africa and also coordinator of the multi-country HAPID sub-programme, which focuses on local innovation and participatory innovation development in the face of HIV/AIDS. She was a member and driving force of a small team that was tasked with developing the strategy document to guide the international Prolinnova network during the period 2011–15. Since 2010, she is collaborating with the University of Pretoria’s Department of Agricultural Economics, Extension and Rural Development in co-coordinating the JOLISAA (Joint Learning in Innovation Systems in African Agriculture) initiative, which is led by CIRAD (France) and works closely with Prolinnova. 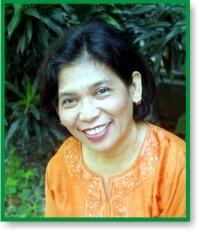 Esther Penunia (afaesther@asianfarmers.org) from the Philippines is secretary-general of the Asian Farmers’ Association for Sustainable Rural Development (AFA), a regional alliance established in 2002. It is currently composed of 13 national farmers organisations in 10 countries, representing 11 million small-scale women and men farmers. AFA carries out programmes on policy advocacy, knowledge management, enterprise development and governance. It conducts activities related to policy information, analyses and campaigns as well as dialogues with decision-makers at national and regional level. It provides technical and managerial support to members’ initiatives on farmers’ organising and empowerment, organisational development and management, access to natural and production resources, sustainable agriculture, equity-led marketing and trading. It likewise develops projects in these areas that are implemented in selected countries. Esther is a social development worker and has spent her professional years in the field of rural development working with small-scale farmers, fishers and indigenous peoples in various capacities as community organiser, participatory action researcher, trainer, gender advocate, consultant, campaign coordinator, NGO executive/manager and networker. Jean Bosco Etoa (etoa_ngbwa@hotmail.com) is a Cameroonian agronomist who has been working since 2008 on recognising and strengthening agricultural innovation by smallholder farmers. This work eventually led to the formation of the Prolinnova-Cameroon platform at a workshop held in Yaoundé on 23-24 September 2010. Since then, he has facilitated the network by organising training workshops on participatory innovation development (21-23 July 2011) and farmer innovation events ("matinees"). He was in charge of organising such an event in Yaoundé on the occasion of World Food Day in 2011. Within the international Prolinnova network, he took the lead in launching the International Farmer Innovation Day (IFID), on the agreed date of 29 November each year. The first IFID was celebrated in 2012. Ingénieur agronome de nationalité camerounaise, ETOA Jean Bosco travaille à la mise en place d’une structure qui valorise les innovations paysannes dans le domaine de l’agriculture depuis l’année 2008. Ce travail a about it à la formation de plate-forme Prolinnova-Cameroun lors d’un atelier de lancement organiser à Yaoundé les 23 et 24 Septembre 2010. Depuis la mise en place de la plate-forme, il anime le réseau avec l’organisation des ateliers de formation sur le développement participatif d’innovation (21 au 23 juillet 2011), des matinees de l’innovation. L’organisation des matinees de l’innovation à Yaoundé sous sa houlette lors de la journée mondiale de l’alimentation en 2011 a ramené le theme de l’organisation d’une journée internationale de l’innovation dont la celebration a été fixée au 29 novembre de chaque année. La première edition a eu lieu en 2012. Julian Gonsalves (juliangonsalves@yahoo.com) hails from Goa, India but has resided in the Philippines since 1984. He is now a freelance consultant/reviewer/evaluator of programmes /projects in agriculture and NRM since 2000. Prior to this, Julian spent nearly 16 years at the International Institute for Rural Reconstruction (IIRR), initially as Director of the Appropriate Technology Unit for eight years and then as Vice-President of Programmes for another eight years. He holds a PhD from Cornell University in extension education and international agricultural research and development and was a recipient of a Rockefeller Foundation Fellowship. During his tenure with IIRR, Julian developed a global programme on sustainable agriculture and conceptualised the participatory workshop process for documenting best practices, one of the innovative services IIRR has provided globally. This process has led to many publications that emphasise the importance of farmers, scientists and extension workers coming together to develop innovations that address farmers’ needs. Julian continues to work directly with farmers through a number of organisations that have set up agricultural field programmes in Asia. He also provides voluntary services to food security programmes. Julian is a capable negotiator and networker and has been at many important events such as the Earth Summit in Brazil and the Food Summit in Italy. Julian also served for three years on the NGO Committee of the CGIAR (Consultative Group on International Agricultural Research). As lead reviewer of the Global Partnership Programmes of the GFAR (Global Forum for Agricultural Research), Julian evaluated the Prolinnova Global Partnership Programme in 2006. Marise Espineli (marise.espineli@iirr.org) from the Philippines is a capacity development professional working for the International Institute of Rural Reconstruction (IIRR) based in Cavite, Philippines. Marise has more than 20 years' experience in designing and conducting workshops and training courses and providing technical assistance to development organisations on participatory management of projects, programmes and organisations. She has special interest in gender mainstreaming in projects and organisations and in participatory monitoring and evaluation (M&E). She has a Master’s degree in International and Intercultural Management from the School for International Training in Vermont, USA. She is now taking her PhD on Applied Cosmic Anthropology at the Asian Social Institute, Manila. She worked with the Aga Khan Foundation in Afghanistan as Director of its Programme for Professional Development for almost three years. She is currently the Director of the IIRR Regional Center for Asia. As member of the Prolinnova International Support Team, Marise provides support to developing and implementing its M&E system. She facilitated Prolinnova training courses in M&E and in facilitating participatory innovation development. Oliver Oliveros (oliveros@agropolis.fr) from the Philippines holds a BSc degree in Human Ecology from the University of the Philippines, a Certificate of Management from John Cabot University in Rome, and a Masters (Acteurs et Nouvelles Territoires) from the Université de Montpellier 3. After working as Senior Economic Development specialist with the Ministry of Socio-Economic Planning in the Philippines, he became Associate Professional Officer with the FAO, working for five years in the Secretariat of the Global Forum for Agricultural Research (GFAR) in Rome as the contact person for Civil Society Organisations and the focal point for Rural Knowledge Systems and Innovation Processes. In 2004, he moved to Montpellier, France, as coordinator of the DURAS (Promotion of Sustainable Development in Agricultural Research Systems in the South) programme. Since 2008 he is Senior Officer for international relations, partnerships, grant coordination and M&E with Agropolis Foundation in Montpellier. He has been a staunch supporter of Prolinnova since his involvement in developing the concept for this initiative in Rambouillet, France, in 1999. Scott Killough (scott4killough@gmail.com) from the USA was, when elected to the POG, Associate Vice-President for Sustainable Agriculture and Rural Livelihoods of World Neighbors. He has more than 20 years’ experience in participatory development management within an NGO setting, and has field experience in programme development and management, agricultural extension education systems and sustainable agriculture practices in the tropics. From 1990 to 2006, Scott worked with IIRR in the Philippines, where he was involved in all aspects of institutional planning and management, programme development, M&E, oversight of community-based field projects, coordination of international workshops and training, publication and documentation, and numerous technical assistance assignments. These tasks were conducted in various countries mainly in Central America, South and Southeast Asia, and East Africa. In the early 1980s, Scott worked for three years in Guatemala in community-based livestock development and as technical trainer of para-veterinary technicians. He holds a BSc in Agricultural Economics and Political Science from Oklahoma State University, a Master's degree in International Agriculture and Rural Development from Cornell University, and a PhD in International and Rural Development from the University of Reading, UK, with a dissertation focused on processes and impacts of farmer-to-farmer extension in Central America. Sergio Larrea (slarream@yahoo.com) from Bolivia is an agronomist who graduated from the “Escuela Agrícola Panamericana” in Honduras in 1997, with a minor on rural development. In the last 13 years, he has been facilitating negotiation processes and management of conflicts related to natural resources. In 1998, he was part of a team documenting rural conflicts for a Honduran network (ANAFAE). From 1999 to 2003, he worked on strengthening indigenous peoples’ organisations in the Ecuadorian Amazon region and on facilitating a participatory natural resource management approach in protected areas in Ecuador. Between 2003 and 2008, he was the coordinator of the “Participatory Management System of the Galapagos Marine Reserve”. From 2008 to 2010, as coordinator of the work of the NGO World Neighbors in Bolivia, he focuses on programmes for agriculture and child nutrition in the north of Potosí. At present, he is based in Quito, Ecuador, and works as an advisor to the Andean programme for Food Sovereignty, financed by IIED (International Institute for Environment and Development), a programme being implemented in Bolivia, Peru and Ecuador. Sonali Bisht (sonalibisht@yahoo.co.in) is an Indian national. She is founder of and advisor to INHERE (Institute for Himalayan Environmental Research and Education, www.inhereindia.org), a local NGO involved in community-based sustainable development in the central Himalayan region of India. Sonali holds a Master’s degree in political studies and has worked with the public sector, media and development organisations for over 30 years. She is a development worker, writer and advocate of community-based natural resources augmentation and management; community-based organic agriculture value chains; local food and nutrition security systems; women in agriculture; integrated farming system for smallholder development; women empowerment in governance; low-cost and affordable indigenous primary healthcare systems; pro-poor climate change adaptation and mitigation systems and strengthening community-based innovation, livelihoods and entrepreneurship. Sonali has worked with, advised, evaluated and assisted organisations at local, national and international levels in areas of her interest and expertise. Sonali is currently NGO member of the Steering Committee of the Global Forum on Agricultural Research (www.egfar.org) a forum hosted by FAO to promote inclusive and development-oriented agricultural research focused on smallholder producers. She is also a member of the working group on Enabling Environment of the Global Alliance on Climate Smart Agriculture and of the Agrobiodiversity community (ABC@D). Suman Shekhar Manandhar (smanandhar@libird.org) has an MSc in Agricultural Economics from the University of Sydney, Australia. He has worked as Senior Programme Officer in Local Initiatives for Biodiversity, Research and Development (LI-BIRD) from 2006–09 and 2011 to date, Programme Officer in the Helvetas Sustainable Soil Management Programme (2009–10), Project Manager in the Silk Network Model Project of JICA / Silk Association of Nepal (2004–06) and Marketing Specialist in the UNDP Sericulture for Rural Development Project (1998–2002). His key professional interests include: project planning and management; communication, coordination and networking; monitoring and evaluation of rural development projects; conducting agro-economic and marketing research; designing and promoting sericulture and home gardens; and documenting and promoting local innovation. He has been coordinating the multi-stakeholder Promoting Local Innovation (Prolinnova–Nepal) platform hosted by LI-BIRD since 2006. He also coordinates the activities in the Prolinnova regional project funded by Misereor, Germany: "Local INnovation and EXperimentation: an entry point to Climate-Change Adaptation for sustainable livelihoods in Asia" (LINEX–CCA), in collaboration with the country platforms in Cambodia and India. Susan Kaaria (susan.kaaria@fao.org) from Kenya was, when elected to the POG, a Program Officer for Environment and Economic Development with the Eastern African office of Ford Foundation. She is now Senior Gender Officer with FAO in Rome. She has a PhD in Forest Resource Economics and Agricultural Economics. Prior to joining the Ford Foundation, Susan spent ten years as a scientist at the International Center for Tropical Agriculture (CIAT), working in both Latin America and Africa (Eastern and Southern). She conducted action research in community-based natural resource management; community-based participatory M&E systems, and innovative participatory approaches for increasing access to and benefits from markets by poor andmarginalised communities, especially poor rural women. In 2008 she returned to Kenya to take up a position with Ford Foundation in Nairobi, where she worked on programmes to enhance rural livelihoods and sustainability. She co-organised the Innovation Africa Symposium in November 2006 in Uganda in partnership with Prolinnova and co-edited the book that came out of that symposium. Vitou Sam (samvitou@cedac.org.kh) from Cambodia holds a BSc in Forestry from the Royal University of Agriculture, Phnom Penh, Cambodia, and an MSc in Agriculture and Biology from the Université Catholique de Louvain, Belgium. He works with CEDAC (Centre d'Etude et de Développement Agricole Cambodgien / Cambodian Centre for Study and Development in Agriculture) for over 10 years. He is currently overall coordinator of the Prolinnova–Cambodia network and Director of CEDAC Institute for Local Development (CILD), a CEDAC department that mainly provides capacity building to youth, farmer promoters and farmer leaders in participatory approaches, agriculture and rural development. He is involved in teaching, training and project development/management in the areas of sustainable agriculture, participatory M&E and participatory innovation development (PID). As coordinator of Prolinnova–Cambodia, he facilitates multi-stakeholder platform building and institutionalisation of participatory approaches into agricultural research and development. He also works on integrating PID into institutions of higher education in agriculture and rural development.